I really like the pattern, but did not want to make a baby blanket out of it. Instead, I wanted to experiment with two skeins of Lion Brand Heartland (color 180 Kings Canyon), which is a very soft and light worsted weight yarn. The adaptation was simply – just fewer repeats. 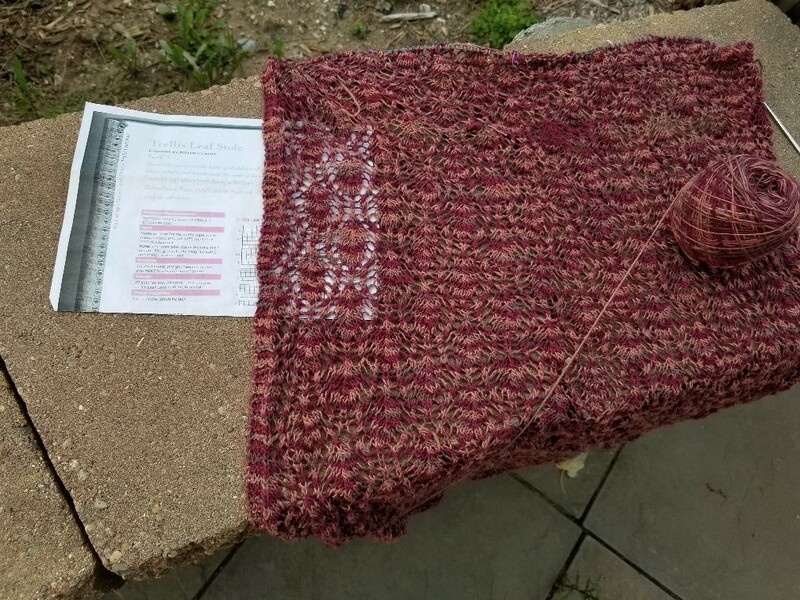 What you see in the photo is the second time through – the first time (first skein), had one fewer repeat, and it was too narrow for my liking. This is much nicer, and will make a very soft and warm scarf. Pattern is free on Ravelry: Leafy Baby Blanket by Leyla Alieva. Posting has been sparse, lately, due to day-job workload. However, knitting continues, and I currently favor endless rhythm and repetition to relax in the evenings. This is Hanami, by Melani Gibbons, $6.00 on Ravelry. The full pattern is intended to be more ethereal and transitions from the basket weave you see below to an effect of cherry blossoms blowing in the wind. I chose to stick with the basket weave pattern, and the yarn is more suited for a warm wrap. Yarn is KnitPicks Palette line, in color Camel Heather. This intended as a gift for someone that favors darker monotones, but it’s also something I would gladly keep for myself. The yarn is comfortable, and the wrap will be warm without being heavy. I want to make this a generous size, so I’ll probably use all 8 balls (231 yds/50 g). I’ll share the final blocked size. 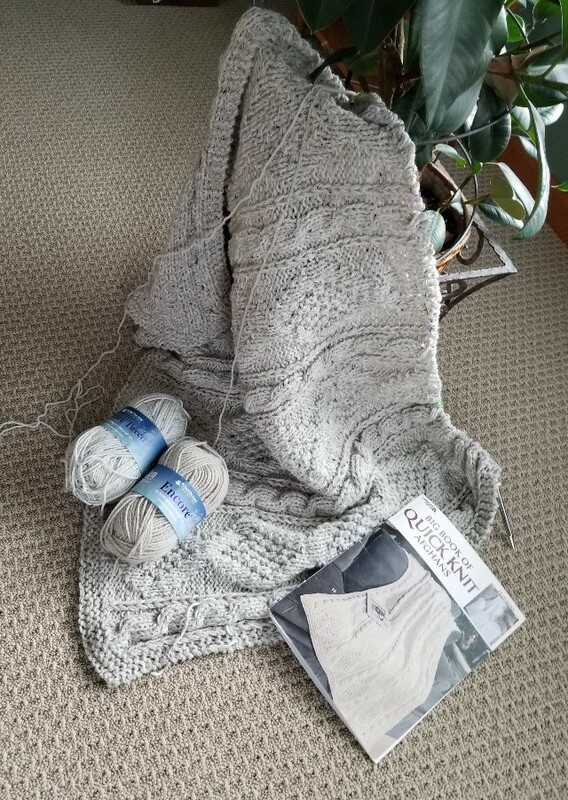 The yarn balls you see are the last two, so I’ll probably complete this project before the end of tax season (which is how I measure goals in the spring). 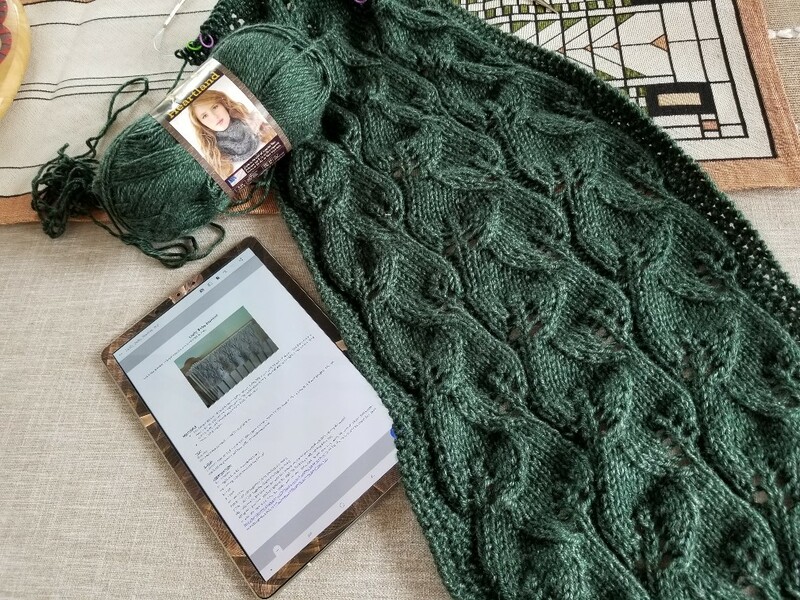 Note about using a tablet for the pattern – this particular pattern is printed “small” on the document – I would be frustrated if I had printed it to paper. By using a tablet, I can zoom into the pattern, which makes it much easier to follow. There were these socks. I knit them up for the boy-child, who never liked them and never wore them. After he moved out (he is a grown-up, now, and living on his own, but stops by from time to time), I found them in his room and confiscated them for my use. Well, I decided that I didn’t really like them, either, and I was annoyed by the yarn pooling on the foot of the socks. However, I couldn’t bring myself to throw out perfectly good (if ugly) socks, so I thought…. could I re-knit them? So, here we have “Nutkin” sock, by Beth LaPensee, free on Ravelry. I’ve had this pattern for a long time – it was first published in 2007. Never made it, though. Not sure why, but I think the turned cuff at the top had something to do with it. I started at the toe of the old sock (since it was a top-down sock) and knit the new as I unraveled the old. Worked very well, and I am very pleased with the result of the first sock. Now that I’m working on the second sock, I wonder if there is some “off-ness” about the yarn, which caused the pooling (from a sock-yarn perspective). It took several false starts before I could align the yarn in the second sock so that it did not pool. Yarn: I have no idea. I am fairly sure that I knit this, the first time, before I had the blog, so it’s been a while ago, and I don’t have a record. It’s good, solid sock yarn, so probably one of the common commercial brands. It was washed several times before abandoned and then reclaimed. Note on the “new” (top of picture) sock – although the colors you see in the heel and toe are throughout the yarn, because of the shorter rows, it is only distinct in the heel and toe – almost looks like one used a different yarn for contrast. 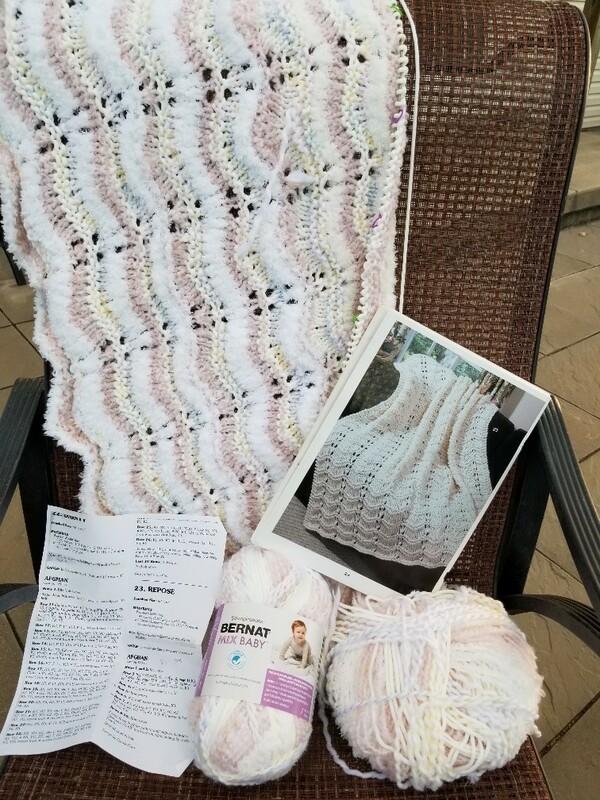 Shout out to Beth LaPensee for a good pattern – it’s easy to follow and memorize, and looks nice. I changed her short-row heel for a German Short Row heel (check out the video by Knit Purl Hunter), which I discovered a while ago, and like because it is a lot easier than traditional short rows, and looks nicer.